Over the past few months Governor Andrew Cuomo has shown his economic love for the Adirondacks by putting his money where his mouth is, pledging $32 million towards an Adirondack Gateway facility at Frontier Town in North Hudson and another $20 million for improvements to the Gore, Whiteface and Mt Van Hoevenberg ski centers. 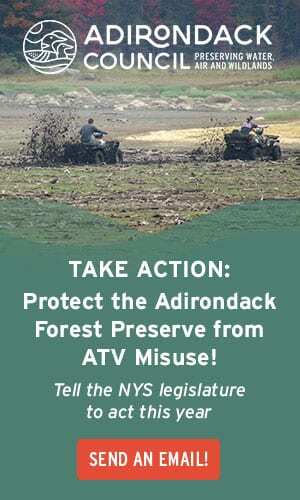 Seeing as generosity is in the air, I have a proposal: let’s take a small portion of the monetary love intended for these projects and turn Cascade Mountain from a dangerous and degraded poster child for Adirondack overuse to a model of Wilderness education that becomes an asset in the struggle to protect the High Peaks. It might be an exaggeration to say that the High Peaks region is being loved to death; my recent forays there have been blissfully lonely, albeit advantaged by having been made on non-holiday winter weekends. But overuse on some trails is a real issue and overtaxing of fragile summits qualifies as an acute problem. Worse, these problems are growing by double-digit percentages, threatening the integrity some of our most important protected terrain. The dramatic increase in hiking has been documented extensively, including here at the Almanack. Since that article posted the story has gotten even bigger. Last Labor Day weekend, summit stewards talked to over three thousand people on the summits of just four peaks: Marcy, Cascade, Algonquin and Wright. 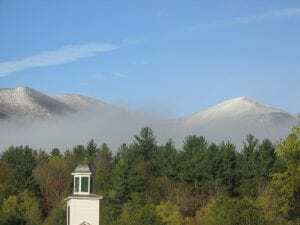 For Columbus Day weekend, the State Department of Environmental Conservation (DEC) unfurled a multi-pronged plan to turn people away from the High Peaks and steer them towards less-used destinations, going so far as to erect a temporary information station to intercept visitors coming in via the Keene Valley. This spring DEC is actively promoting a web site with alternative destinations. The most dramatic and visual evidence of this usage trend is the trail head for Cascade Mountain on Route 73 between Keene and Lake Placid. Cascade is by far the most-climbed High Peak: its trail head register numbers are second only to the register at Adirondack Loj, which serves dozens of destinations. Use at Cascade is growing even more rapidly than elsewhere: over the last decade the number of climbers has doubled. Fully half of the three thousand Labor Day hikers just mentioned were on top of Cascade. The road near the trail head is typically lined with cars; even on a recent cold, overcast day I counted more than two dozen vehicles. On busy weekends, there can be over a hundred cars lining the highway. There is no sign that any of this pressure is going to improve. The recent closing of the nearby Owl’s Head trail in response to overuse and parking problems is an instructive reminder of that. Clearly, the Route 73 corridor between Keene and Lake Placid needs a strategy. At the same time, all this use is by no means a bad thing. Anyone with an interest in preserving wild places should want as many people as possible to experience them, for to experience them is to cherish them. Besides, the public has every right to use their lands. However better management is called for to protect the ecological integrity of the land and prevent the very kinds of abuses the High Peaks increasingly suffer. I join many of my fellow Wilderness advocates in calling for the High Peaks Unit Management Plan to be reopened for discussion and improvement. Amid the myriad debates over Wilderness management there is general agreement that a key component is education. 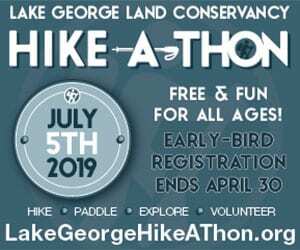 Trail erosion, inappropriate disposal of human waste, trampling of summit vegetation and many other back country problems are exacerbated more by ignorance than by ill will or lack of concern. Those of us who frequented High Peaks summits in the 1970s and 80s know full well the difference that has been made by the Summit Steward program, which has education as its focus. It is also clear that education is becoming more important: societal trends, including the experiential drive reflected in social media phenomena like meet-ups, have driven up the percentage of novices in the woods. This is even more the case at Cascade, since it is the most accessible High Peak and a comparatively modest ascent. Cascade is typically an aspiring climber’s introduction to the High Peaks. Last fall, as I started thinking about what I would do at Cascade if I had the power, I tried my own informal survey there and found that nearly two-thirds of the hikers I spoke with were first-timers. 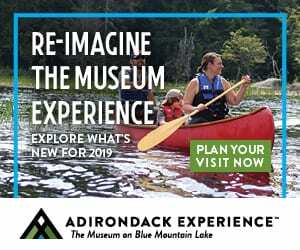 Build an Education Center dedicated to teaching visitors all about hiking, climbing and camping in the High Peaks, from trail and summit etiquette to Leave No Trace principles to the ecology of the region and more. 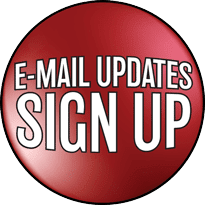 Provide a spectrum of educational resources from an interpretive center for self-paced exploration to indoor and outdoor classroom space for lectures and classes, to an immersive on-line experience. Close the current trail head and open a rebuilt/hardened Cascade trail, rerouted to a new parking area. Install modest but appropriate educational signage along the climb to teach and reinforce basic ideas right where they matter, from trail erosion to disposing of human waste to the rock walk. Provide a full time staffer at the education center and a seasonal summit steward at the top of the trail. Provide a parking lot off of Route 73 sufficient in size to keep cars off the shoulder of the highway. Cascade Pass parking should service only the Pitchoff Range. However, look at a map: just a mile to the west of the current trail head for Cascade Mountain is a complex of State land already classified as intensive use: the Mount Van Hoevenberg Center. It has ample room, existing infrastructure, plenty of parking and most of the year it is under-utilized. A reroute of the Cascade hiking trail to begin somewhere near the large parking area for the cross country skiing loops would add roughly a flat mile of hiking, preserving Cascade’s status as the easiest, most accessible High Peak, while offering a much better place to park a car and offer facilities. The Cross Country Ski Lodge, in dire need of an upgrade, could be repurposed to additionally serve the desired interpretive and educational functions; or some modest and more attractive facilities could be built. The Mount Van Hoevenberg Center needs a lot of investment anyhow (anyone driven in there recently?) so it seems to me that planning for this additional use would not add that much to the bill. Still, what about the money to do all these things? Well, I teach math and I’m pretty sure 20 + 32 = 52, as in the $52 million the Governor has pledged to the two regional projects I mentioned at the beginning. Clearly there is money to invest. 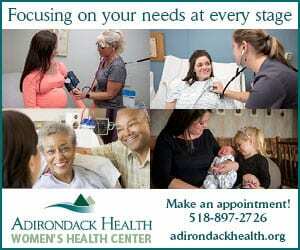 To my thinking the State owes the High Peaks area some of that investment. The State’s interest in this jewel has always been protected by numerous private initiatives and it is time it ponied up more of its fair share. 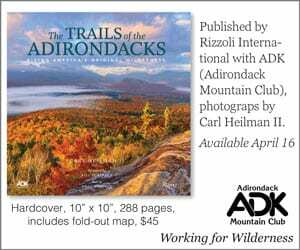 For example, the Adirondack Mountain Club has done great things with the High Peaks Information Center, but they are not in a position to offer what a State run and staffed facility, dedicated to education, could do. Besides, I’d wager cash that investing a minor portion of those funds to create such an educational facility would return a better bang-for-the-buck in both Wilderness protection and economic benefit than, say, plowing all $32 million into the Frontier Town site. For there to be such sensible considerations, we citizens need to talk about it. So the next time you drive past the soon-to-be-closed Owl’s Head up into Cascade Pass, then slow down as you navigate the overrun and dangerous traffic hovering around the Cascade trial heads, think about what you might contribute to the conversation. Photo: The Cascade Range from the Keene Valley. Agreed, but you also need enforcement of no parking on 73. Great idea Pete. I like it. 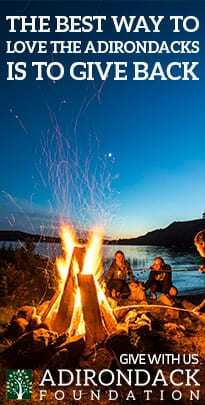 Another suggestion to address overuse (camping as well as hiking) – use a portion of the funds otherwise devoted to further increasing the volume of visitors to actually increase the number of DEC forest rangers (including lieutenants, captains and directors) from the ridiculously low number of 134 (for the whole state!) which has been held constant now for ten years. I agree. But to a politician, building is always sexier than maintenance and patrolling. Buildings aren’t just sexier..they didn’t require direct appropriation, they are capital projects that can be paid for by borrowing. The full cost of humans, employees are paid for annually directly out of the state budget. Exactly! Taxpayers will pay for capital improvements and programs to promote tourism. But as for actually protecting the asset that attracts the visitors, that’s a no-go. And it’s because those funds have a different accounting label (i.e., the operating budget). If that nonsensical distinction was eliminated, the politicians wouldn’t be able to boast about how “fiscally prudent” and responsible they are. 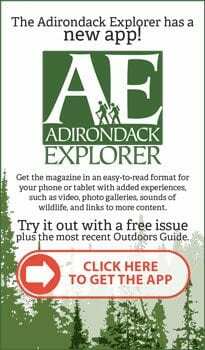 Predictions – 1) more bragging by the Governor et al about how he’s boosting the flow of tourism dollars into the North Country, 2) no increase in DEC rangers and 3) more complaints about (mismanaged and unenforced) overuse in the Adks. Nice. Doesn’t need to be linked to Frontiertown as an either/or. Also there could be a shuttle bus to the cascade trail from Van Ho. Signs at Van Hovenberg could point to other hikes. Mt Van Ho has great views. Excellent Idea! I appreciate the solution, not problem approach. … oops, that’s how the DEC already does it! I can’t think of anyone in the field who would not say that education is a crucial part of Wilderness management. As to more regulations, where did I propose that? As to putting up more signs, signs already get put up, but not necessarily (or usually) as part of a structured education program. I’m not suggesting there should be signs all over Cascade, like a museum trail or something. I don’t even think there should be more signs than there are now (in fact I’m one of those who frowns on the frequent overuse of trail markers). But signs worded, themed and placed as part of a smarter education plan that specifically reinforces concepts offered at the education center makes sense to me. Pete, as always, well reasoned and compelling. I wonder if this Gov will ever get the message that development in the DAKs on the cheap is a policy that is short sighted. Those of us who live inside the Blue Line, and for certain visitors, deserve better. Time to end that practice, doncha think? Albany spitballing to find something that works. The Park is then left with all the spitballs to clean up. Golly gee willikers are all those vibram soles and human presence disturbing both the flora and fauna of the high peaks regions?? Holy cow..maybe we should ban people ….kinda like banning ATVs and ATV trails. Certainly seems like a reasonable approach: I mean really… “No People + No access” = less disturbance to the alpine zone. Timmy my boy! Up early and ready to go, eh? Good for you. Is it possible you missed these sentences, directly from my column? Why, it appears you did! How can that be? Alas, sometimes the same stale reactions just don’t apply. Oh well. diversity .,., seems you brought that idea here w/ you. Tim is part of the discourse. good, also a rerouted trail up Cascade. and parking lot. as do the ferries. What websites do people new to the area look for? I believe that the intensive use classification extends to the Porter Mountain Loops that reach Rt. 73 just west of the Cascade Trailhead. The loop that touches the road is no longer crucial for any competitions and could be shortened to make way for the kind of facility envisioned right there at the current trailhead. While it’s nice to think of some improvements to the Cross-Country Lodge as a way of getting more than winter use out of it, I don’t think that is really practical. First of all, it’s closer to two miles from the parking lots at Van Hoevenberg, and that route would not be totally flat. Secondly, there is significant winter use that would clearly conflict with the skiing. 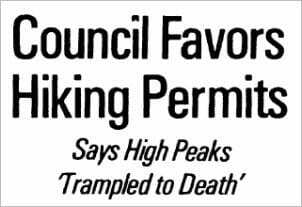 Certainly a shuttle from the parking lots is feasible, but there would have to be a ban on trailhead parking in order to get hikers to use it; and that would not be easy to implement. So, it seems to me that a “welcome center” and parking near the current trailhead would be the best option – assuming some of the $52 million could be repurposed from Frontiertown. Thanks for the comments. You are right that an intensive classification covers the land that abuts Route 73 just west of the Cascade Pass. In the first draft of my article I suggested facilities and parking be located there. But then I decided there was no good justification to build new structures on what is essentially undisturbed land. I toured the Van Hoevenberg area and saw possibilities, though a lot would need to be worked out. The choices available are greatly limited by conflict with ski trails. Here’s the option I looked at. It would require securing an easement for a hiking trail on the private lands along 73, south of South Meadow Farm. It would begin with a reroute of the existing Cascade hiking trail at about the 2,450 – 2,500 foot level. This eliminates about 0.6 miles of the existing trail. The new trail would descend west, skirt the Van Hoevenberg ridges, parallel the East Mountain ski trail and cross it at the cutoff. This is a 1.65 mile route, so a net of a 1.05 mile addition. It involves no significant elevation gain over the first mile. I have no solution to the winter conflict with ski trails. The Porter Loop is an issue, period. Nearer to the lodge, there would need to be at least three crossings. I would not want to see ski trails impacted, that seems unfair and unmanageable. But there are options for solutions, from bridges to reroutes. I’m merely speculating. My only point is that the distance and elevation gain is not intrinsically a problem. I’d be skeptical of the shuttle solution, for the reason you gave. At 2460′, the Cascade Trail turns from south to southeast. Using this as a starting point, the *shortest* line to Bobsled Run Road is 1.57 miles. This is a straight line running right through Mud Pond (an impractical route). How are you measuring a practical route that is merely 1.65 miles long? I sent you an email with my map. I’m measuring from the lodge. Got it! Thanks! I see you shaved off some mileage by starting the trail southeast of the road (i.e. as far as one can drive). Makes sense. According to the Essex County Map Viewer, your proposed route runs through five independently owned parcels of land. Whew! Sounds like a tall order to get easements though all five properties but best of luck! Excellent idea Pete. I would go further to suggest that the current cross country ski center and biathlon range be replaced (they’re very tired and unappealing) and combined. In looking at the area map, I think they could be replaced with a single facility closer than a mile from the Cascade trailhead. This could be really nice. Generally speaking, I like your idea. I can see the benefit of creating an education center for new hikers (who usually choose Cascade for their 1st High Peak). The Mount Van Hoevenberg Center seems like a good choice for this purpose. However, my only quibble is with your claim that the new trail would be “a mile of flat walking”. Based on my calculations, it understates the true dimensions of a new trail. First, the Center’s parking area lies 2 miles west of Cascade’s trail. Second, there’s a large area of privately held land between Cascade and the Center. Third, the Center is 200 feet lower than the Cascade trailhead. A new trail would be at least 2 miles long. It could follow one of the many existing ski trails (see map). However, the most direct route crosses private land and may pose easement issues (a XC ski trail now becomes a hiking highway to Cascade). If allowed to cross private land, the new trail would indeed be fairly flat (but with 200 feet of additional ascent). If it must remain exclusively on state land, it will have to climb *up and over* the eastern shoulder of Mount Van Hoevenberg. That’s about 400 feet up from the Center and 200 feet down the shoulder to skirt the private land. Based on the elevation where the new trail would intersect the old one, you’d be trading the first half-mile of the Cascade Trail for 2 miles and several hundred feet of additional ascent. That’s considerably different from “one mile of flat walking”. 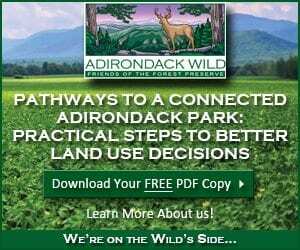 Just to clarify, the Trailhead steward program is a program of the Adirondack 46ers. Just limit the number of hikers allowed on cascade and enforce the limits. This is inevitable for all the HPW. Too many hikers means you have too many hikers. All the education in the world can’t fix that. Then spend some of the 52 million clams on upgrading the cross country ski center. The people who can’t hike can ski. If the education consistently highlights attractive alternatives to the busiest peaks as well as reinforces Leave No Trace principles, it can definitely mitigate some of the worst effects of overuse. A lot of these visitors would probably be thrilled to learn about other equally beautiful nearby hikes that get them away from the crowds and parking congestion. 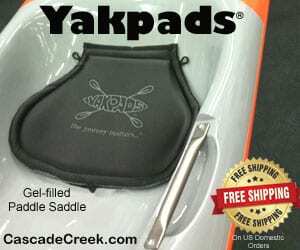 The amenities will probably attract more hikers to Cascade. I hope you are right. Like Pete says many of these folks are first time hikers. They will climb this mountain (its and easy way to get a good view), and then maybe never come back. Maybe the materials will get them excited to hike more mountains (like these blogs) but it will maybe make the issue a bigger problem. They will learn about Marcy and want to bag that the next weekend – be on the top of the state! Too many hikers in the HPW – that is the problem. It isn’t a cascade thing. The popularity of places like Cascade and Marcy show that most people don’t care that much about remoteness or privacy. Whenever I go to the HPW it is much more of a social affair as anything. As newer and other wilderness areas get more crowded and overused as the word spreads via education/promotion/media the same will be true. It would appear Pete Nelson’s idea has acquired some traction. The DEC plans to redirect hiker traffic to start from the Van Hoevenberg Ski Center just for the duration of the Columbus Day weekend. I hate to say “I told you so” but the DEC’s rerouted trail (mostly running along XC ski trails as Pete had suggested) is substantially *longer* than predicted in Pete’s article. The reroute is 2 miles long and, by the DEC’s own account, adds 3.8 miles to the round-trip to Cascade (8.4 miles vs 4.0 miles). That’s far more than the ‘extra mile or so’ that was tossed around during the discussion. It significantly changes the “tone” of a hike to Cascade (and Porter). I’m not complaining, just underlining the significant difference of reality from the original proposal. It’ll be interesting to see how this all plays out next weekend, especially the part about redirecting traffic away from the “red zone” and towards the Ski Center. It’s okay, you can go ahead and say “I told you so!” The reality on the ground is not the same as an optimistic Google Earth distance deal; that said, there are options for shorter routes. It will be interesting to see what DEC has in mind and what it learns. I’m looking forward to next steps. No worries. Remember the part where I mentioned getting easement access from private landowners? Looks like the DEC skipped that step before making the announcement. Oopsie! Here’s my approximation of the DEC’s temporary route … through Corwin and Steckler’s land. I was just wondering if there were any ideas being proposed to control the crowds or make it safer at the Giant/Chapel Pond trailhead along route 73? This trailhead is just as busy and dangerous as the Cascade/Pitchoff trailhead. Three are probably more people crossing route 73 near chapel pond and the giant mountain trailhead than in the village of Keene valley. I hiked giant nubble this past weekend with my wife and kids and there were about 100 cars lining both sides of the road. Basically it was a 55 mph highway running straight through a parking lot. At the very least the speed limit should be reduced to 45 mph between the dix mountain trailhead and roaring brook falls trailhead. The road is narrow, there are blind hills and curves, people are constantly pulling off the road there, and hundreds of people park and walk along or across the road on a weekend day /holiday. My friend almost got hit trying to turn out of the parking lot on Sunday as we were trying to leave. Please consider changing the speed limit to 40 or 45 on this stretch of road. Chapel Pond corridor is one of the most scenic places in the Adirondacks and there is no reason people should be speeding through there at 60 mph with so many pedestrians in the area. I hiked Mt. Marcy in June 1986 with my father (RIP)……we saw hikers, and campers at Marcy Dam. It was pretty busy. Lots of people and then it got remote as we took the summit trail. When we reached the summit, we were alone on a gorgeous early summer day. We spent about two hours there. We came across hikers and campers when we reached Lake Colden that evening to camp, the remainder of the hike through Alvanche Lake and pass and back to Marcy Dam was busier, but not to the point of spoiling the hike. This past June I found myself in Lake Placid after fourteen days hiking 133 from Northville! It was my first trek back in the Adirondacks since the early 1990’s (I moved to California after college). I was picked up in Lake Placid by my uncle. The traffic from Lake Placid and through the Keene Valley, to the Adirondack Northway was bumper to bumper. Cars parked all over the side of Route 73. It looked like the Yosemite Valley here in California. Your article has hit on a few serious topics, not just the Cascade Trail. As much as I am for conservation, protection, and education……..it in the end will take boots on the ground with enforcement of rules, policies and guidelines to keep the park safe and enjoyable for everyone. My two weeks on the NPT I only saw two other hikers, it was a reminder that the vast park still (and will always) have sections the day use crowd doesn’t want or need. It will always have its more popular spots and attractions. Facilities should be expanded, but the enforcement part, despite all the education in the world…..won’t stop some for ruining it for all. I climbed Marcy around 1980 and camped same place. I remember camping area was packed and i stood in line waiting to summit Marcy. I think crowding was bad then and they were taking about limiting hikers but crowds talked off over the years until around 5-10 years ago? 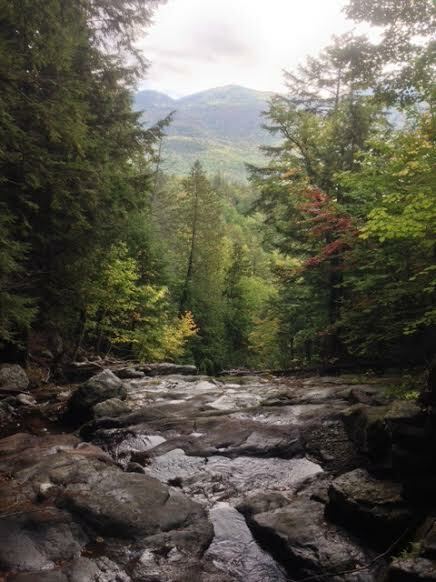 When I hiked Marcy with my father in 1986, he was “surprised” on how clean the trails were! He said in the 1950’s when he first hiked Marcy with his Boy Scout Troop (this was in 1954) that they hauled out so many soda and beer cans / bottles from the trail. They went up and down the main summit trail twice to bring trash to the ranger station at Marcy Dam. He recalled it was busy then too! The day we made the summit of Marcy it was a weekday too. That might have had something to do with it. 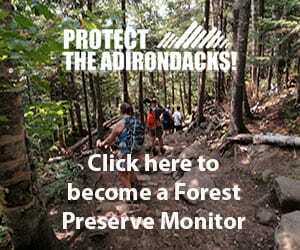 My only concern really as an Adirondack enthusiast about “limiting hikers” is the enforcement. I mean, a trail steward stationed at Marcy Dam telling people “The trail to Marcy is closed” will be ignored by many, and if caught on a closed trail what then? A fine? Will they be “escorted” off the trail? In the end IF limits, or permits is the way of the future for the heavier used areas, the park will need more Forest Rangers. It will need not warnings…but FINES that a judge or court won’t drop. Also, what of the permits? Who will get them first? How much will they cost? 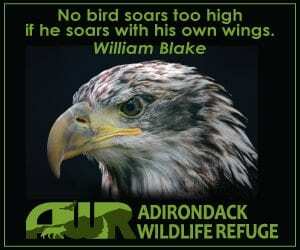 Will certain “groups” get first choice (Sierra Club, Adirondack Club for example) thus shutting out many who don’t have the money, means, or just don’t want to join such clubs? 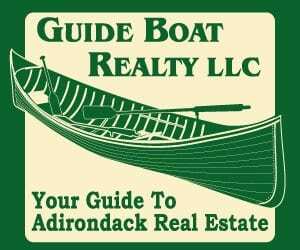 How will the balance be struck with the folks who live year round inside the “blue line” versus the usual “upstate / downstate” arguments about who gets permits before who? 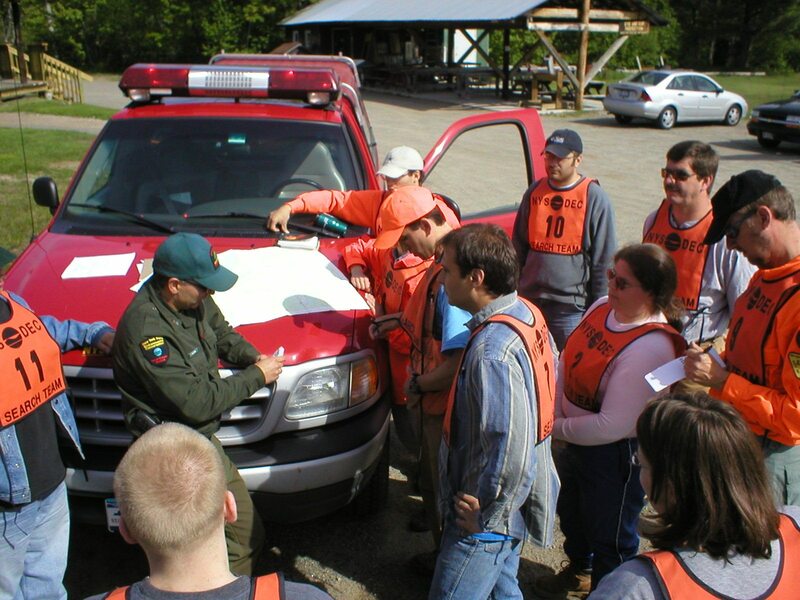 For me, I do understand the conservation aspect deeply…..but in the end, if it does come to permits, or limiting crowds (and DOGS…my pet peeve on the trails in New York and California btw) it will take boots on the ground enforcement to carry that out and uphold it. I had a great visit this past June, and I got a little “homesick” for my native New York after spending 14 days in the vast woods. This topic needs to be discussed, and a solution must be found.